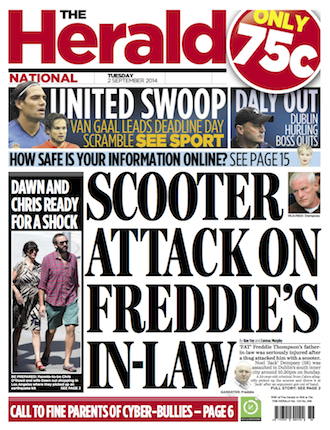 Dublin’s favourite newspaper, The Herald provides a vibrant mix of news, columnists, features and sport. Regularly leading the way with its hard-hitting coverage of Dublin’s criminal underworld, The Herald comes complete with terrestrial and satellite TV Listings supplied page-ready by RE&D. Copyright © 2015 Real-time Editing & Design. All rights reserved.